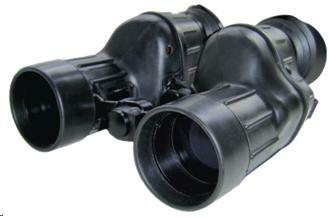 The binocular is designated for observation of remote objects, stationary and movable. Hermetically sealed design, filled with dry nitrogen. Has rubberized body with excellent protection against shocks. Diopter adjustment range – -1 dptr. Resolution power – 10 ang.s.